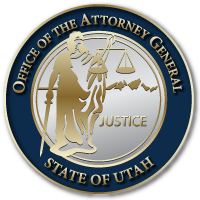 The Utah AGO has always made it a priority to protect Utahns from criminal conduct in all its forms. Over the years, our office has grown in its victim-centric model as we strive to ensure that victims know what rights and services are available to them even at the earliest stages of investigation and prosecution. Survivors who feel validated are more willing to open up about their trauma and more likely to seek needed assistance. They are also more likely to trust the justice process and help in bringing criminals to justice. Victims of crime are often our most vulnerable members of society. We take pride in our work, from the AG victim service professionals to prosecutors, Children’s Justice Center staff, law enforcement agents and medical health providers, to reach all victims, regardless of race, gender, religion, orientation or status. We believe this approach empowers victims to take control of their healing as well as provide hope and direction to others who have experienced or may yet suffer similar victimization. While victim recognition one week in one month of the year is better than nothing, how much better would our world be if we remembered victims and their families year-round. In our office, we will continue to serve and protect those hurt by crime. We express our sincere gratitude to other first responders, medical partners and all those who have gone above and beyond the call of duty to serve victims in Utah. We hope continued collaboration with strategic partners and members of the community will help us continue to improve our statewide victim response which will in turn provide an open road to assistance, justice, healing and peace. Earlier in July, we had Open Houses across the state to highlight the important work Children’s Justice Centers provide. We are grateful for those who give their time daily to support and care for victims of abuse.